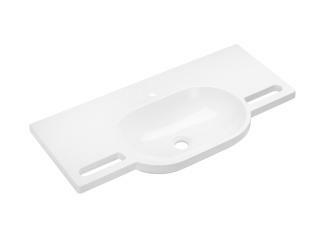 to independently pull themselves towards the washbasin and provide all other users with a secure grip. 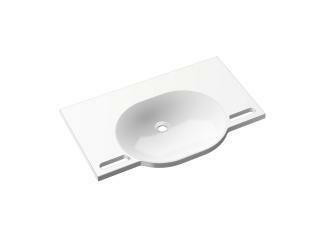 The particularly shallow basin combined with a concealed in-wall or flat on-wall trap offers extra legroom for comfortable use in a seated position. 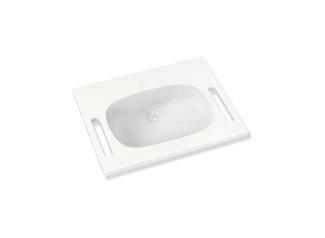 A shallow washbasin can be used both in a standing and in a seated position. 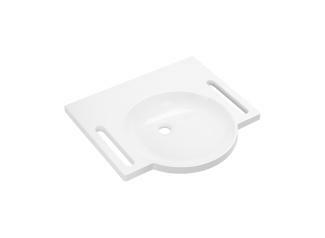 To this end a concealed in-wall or flat on-wall trap should be installed, so that a seated person is not injured by hot water that has collected in the trap or by accidentally knocking themselves on the trap. 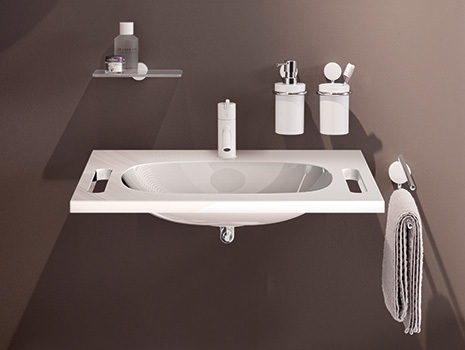 Generously sized shelf areas provide space for all bathroom utensils, so that they are also within reach from a seated position. 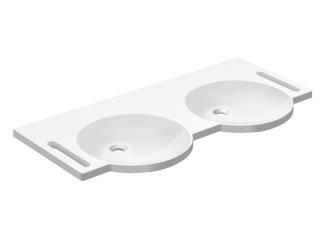 The shallow washbasin has integrated gripping slots, which give the user a secure grip and stabilisation. 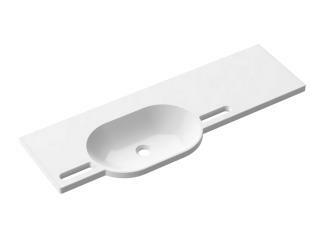 If the gripping slots are the front are not required they can be used as practical towel holders. 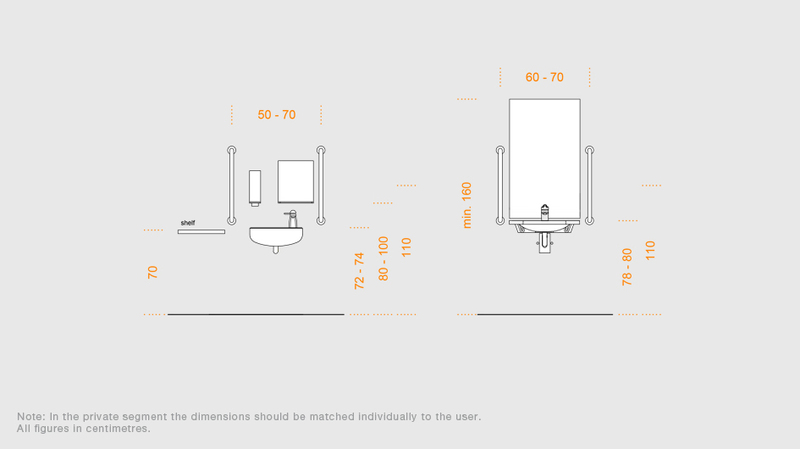 An adjustable, tilting mirror enables both short and tall people to see themselves in the mirror. 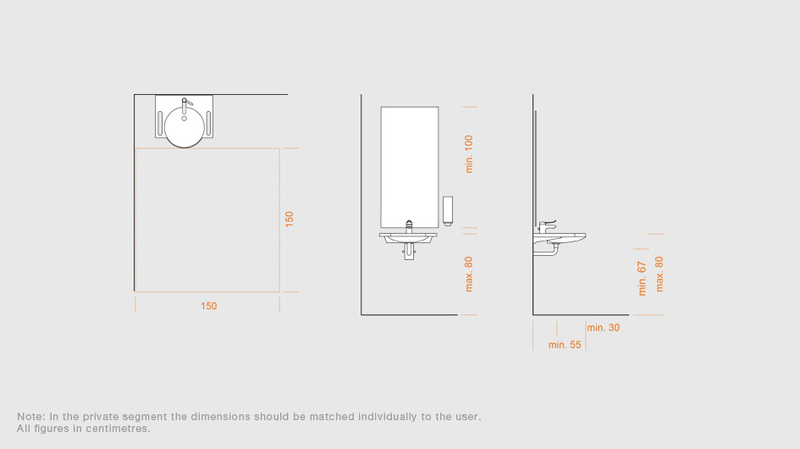 An adjustable mirror is especially suitable for prewall installation. 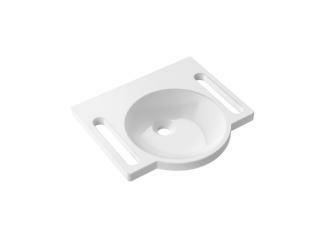 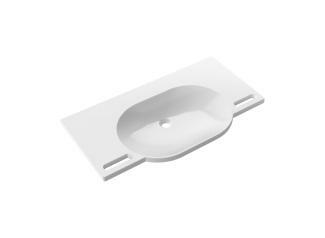 The washbasin is 550 mm deep and is therefore accessible to a wheelchair user. 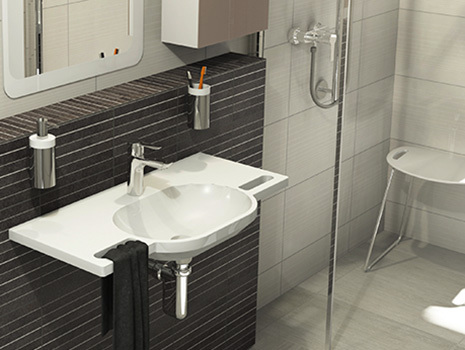 The gripping slots at teh sides make it easier for the user to pull themselves towards the washbasin. 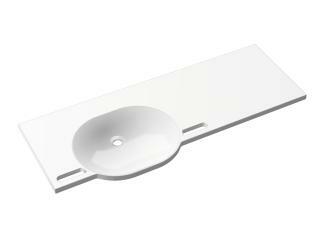 The requirements of DIN 18040 and ÖNORM B 1600 are fulfilled. 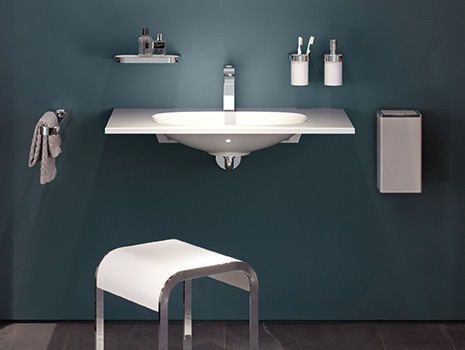 A continuous mirror up to the edge of the washbasin enables both standing and seated persons to use it without preadjustment. 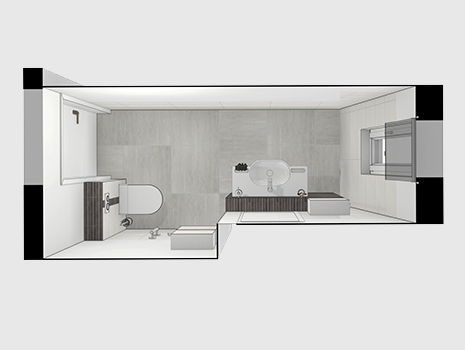 Sanitary rooms are not always designed to provide sufficient space for a compliant, accessible solution. 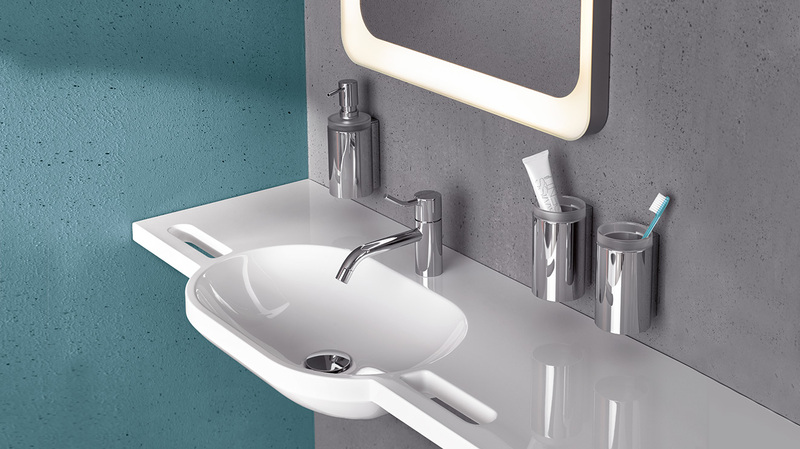 HEWI has therefore developed compact washbasins, which offer accessible comfort and convenience and are particularly space-saving.